Damage/Repair Casting flaws and general wear. 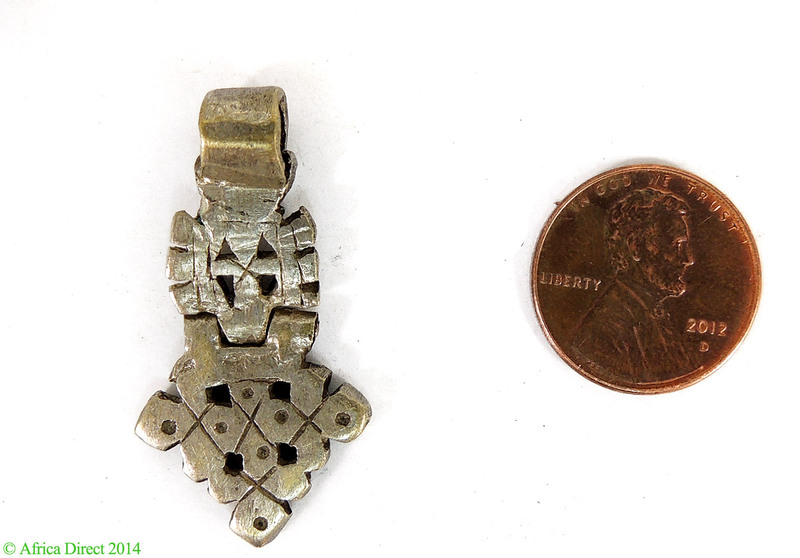 Pendant Size 1.5 inches long. See picture with penny for size comparison (US penny is 19mm diameter). Picture is an example. Yours will be similar, but there will be some minor variation in the size and design. 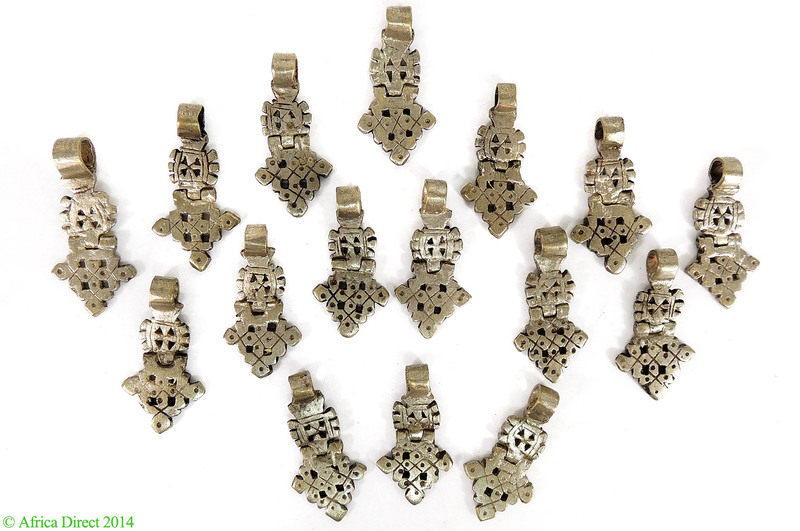 Additional information: Ethiopia is home to one of the oldest continuous Christian traditions in the world, and Ethiopian silversmiths produce religious jewelry as an expression of that tradition. 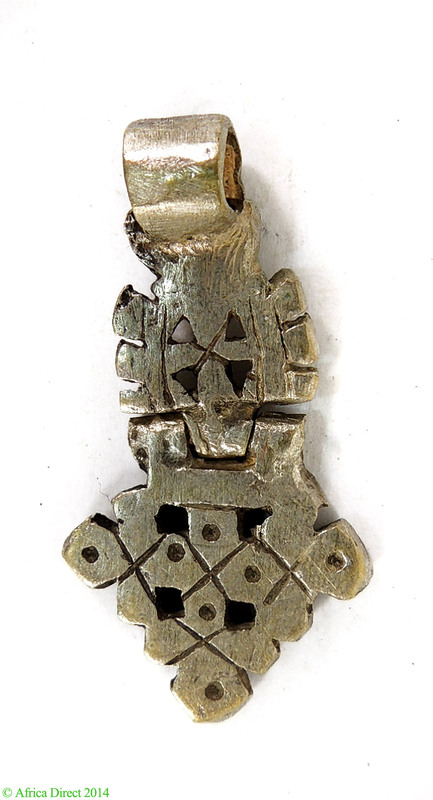 Star of David pendants are worn around the neck and emphasize the relationship of Christian Ethiopians to Israel, King Solomon and the Queen of Sheba.